1. ‘Like’ this post and Kilo Wines page then ‘Tag’ 5 or more friends who also love wine. 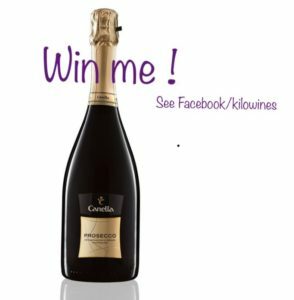 The prize is a 75cl Bottle of Canella Prosecco DOC. The value of the prize is £10.50 and includes free delivery. The prize may not be returned or swapped for any other products. Unfortunately, this competition is only open to persons 18 years or over (proof of age will be requested prior to shipping) living in the UK. The winner will be chosen at random, contacted directly and then announced on instagram @nickrobinsonkilowines and facebook @kilowines and on Saturday 26th January 2019. Please note, this competition is in no way sponsored, endorsed or administered by, or associated with Instagram.